Hawaiʻi Island police are asking for the public’s help in identifying a man wanted for harassment and sexual assault on a public bus. On January 28 at about 3:25 p.m. the unidentified man touched a female minor while engaging in an indecent act on a Hele-On bus in Waimea near the Lakeland bus stop. 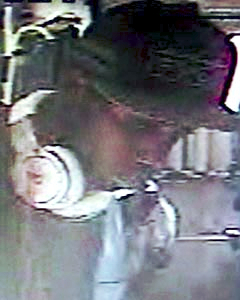 He is described as African-American, tall and thin with short dark hair. He was wearing a RVCA hat and white Beats headphones with a red cord. He may be in Hilo.